An update to Vol. 2, pp. 426–428. Tel Esur (Tell el-Asawir) is situated at the southern entrance to Naḥal ‘Iron, about 10 km east of Ḥadera, where the Coastal Plain meets the Manasseh Highlands. The site was favorable for settlement due to the presence of an abundant spring (‘Ein Asawir) and proximity to the Naḥal ‘Iron pass leading from the Coastal Plain to the Jezreel Valley. The site comprises a prehistoric site extending over 125 a.; a tell approximately 10 a. in area, located at the northeastern end of the prehistoric site; and a small mound about 1 a. in area, located at the foot of the southeastern edge of the tell. East of the tell is a perennial spring (‘Ein Asawir) that flows even during the harshest of droughts. East and south of the prehistoric site are cemeteries that served both that site and the tell. In 1953, M. Dothan excavated a tomb slightly east of the Barkai Junction dating to the Early and Middle Bronze Ages. 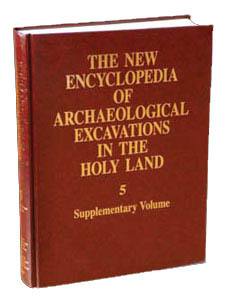 In 1956, R. Gophna and V. Sussman excavated a burial cave from the Middle and Late Bronze Ages located within the precincts of Kibbutz Barkai. A rich tomb from the Late Bronze Age and a small tomb from the Early Bronze Age I were excavated by members of the kibbutz; neither tomb was published and the finds were stolen from the kibbutz during the 1960s. In 1996–1997, E. Yannai and Z. Horowitz excavated tombs in the eastern cemetery: 2 from the Early Bronze Age IB and 20 dating from the Early Bronze Age IV. In 1999, E. Yannai excavated a Late Bronze Age tomb, 6 Early Bronze Age IV tombs, and a tomb dating from the Late Bronze Age IB in the southern cemetery.